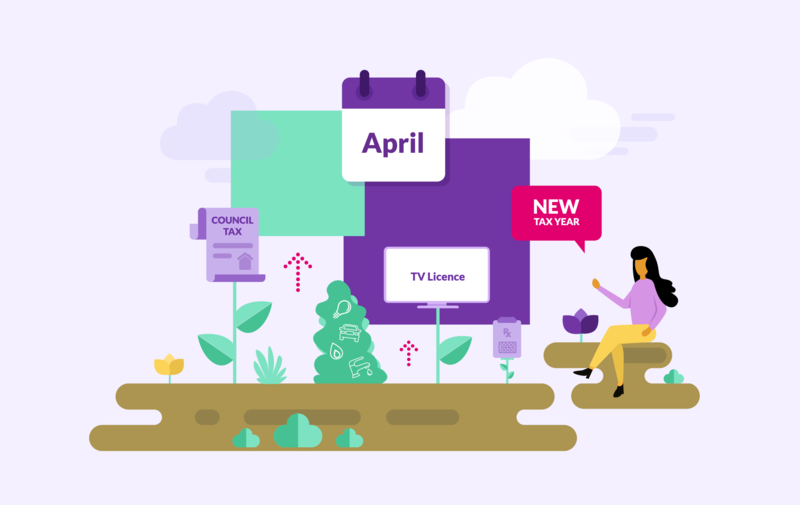 April marks the start of a new tax year, and with it a host of taxes and monthly bills that we all pay will be going up in price. Here are some of those outgoings and expenses that are about to become more costly. April is when any increases or decreased in council tax come into effect. Unfortunately, the vast majority of councils are planning to hike bills. A study by the Local Government Information Unit found that a massive 97% of councils are looking to increase council tax for the 2019-20 tax year. What’s more, around three-quarters of them are planning an increase of more than 2.5%. Your council should have written to you by now to explain what your council tax is going to be next year. Your precise bill will be based on which council tax band your property has been placed in. Alternatively, it’s worth looking at your council’s website to check the details on there. There isn’t a lot you can do about council tax rises. If you think your property is in the wrong council tax band, you can appeal, though be warned that you may be moved into a more expensive band. While council tax is normally taken in ten payments, you can instead ask to pay it over 12, making the monthly bill a little more manageable. If you want to be able to watch TV in the UK, then you need to have a TV Licence. What’s more, the cost of the licence is going up from 1st April, rising from £150.50 to £154.50. Bear in mind though that some people are exempt from needing to purchase the licence, or qualify for a discount. For more, read The TV Licence: how you can avoid paying for it. With many of the monthly bills we face, from our energy use to our phones and broadband, if you aren’t happy about a price rise you can simply switch to a new supplier. Unfortunately, that’s not the case with water bills - you can’t move to a new water firm. According to Water UK, the average water bill is due to rise by an average of £9 from April, however the exact change to your bill will vary depending on your individual supplier. For example if you live in the north west and are served by United Utilities, your bill will jump by £18, while those who have South West Water as a supplier will see their bills fall by an average of £14. While the NHS is free at the point of use, many of us pay for any medicine the doctor prescribes. Currently those prescriptions cost £8.80 for each item, but from 1st April that price is jumping to £9. However, it’s worth noting that prescription payment certificates (PPCs) are not changing in price. PPCs allow you to pay for all of your prescriptions in one go for a set period, so they are a good money-saving option if you have a long-term issue. Three month PPCs will stay at £29.10, while annual PPCs will still cost £104. Vehicle Excise Duty is sometimes referred to as car tax, and it’s a levy that almost all motorists have to pay. The exact amount that you’ll have to hand over to the taxman varies depending on your when your car was registered and how much CO2 it emits. The annual rate for vehicles registered after 1st April 2017 will rise from £140 to £145, while the first-year rates on new cars will increase in line with the retail prices index measurement of inflation. This is the past of the tax that is determined by what your vehicle’s emissions are like - the most polluting cars will see this portion of the tax jump £65. At the start of 2019 an energy price cap was introduced by the regulator Ofgem, which limits what suppliers can charge those customers who are sat on the standard tariff, the most expensive deals around. Around 11 million households are on these tariffs and so subject to the protection of this cap. However, while the cap was set at £1,137 for typical energy use in January, it is already being increased to £1,254 from 1st April. Bank accounts come in all sorts of different forms. There are some that are particularly good for people that are at risk of overspending, as they have fee-free or interest-free overdrafts, while others reward users with all sorts of additional benefits, like travel insurance, in exchange for a monthly fee. The way that we spend money has changed significantly in recent years, with far more of us now preferring to pay with a debit or credit card rather than cash. In fact, a study by Equifax last year suggested that around 37% of British people reckon the nation will be essentially cashless within a decade. Should you save money even if you're in debt? If you have credit card debt, a personal loan or an overdraft then you might wonder whether it’s worth saving any cash. After all, the amount of interest you’ll earn on your savings will almost certainly be less than the amount of interest you’re paying on any debt, even if you have a great credit score and are on a competitive rate.